Modesty is an important aspect of the gospel, but it should be emphasized to men as much as it is emphasized to women. Notice it says God's children. Not God's daughters, but God's children. Each and every one of us. Boys at BYU should get in as much trouble for wearing shorts that hit above the knee as girls at BYU do. It says in the honor code under both sections that "shorts must be knee-length or longer." And that's the tea. Let's stop saying "Modest is the hottest." Showing modesty while still prioritizing on appealing others is not modesty. Focusing on being hot defeats the purpose of modesty, and still objectifies the individual (which we can safely assume is a young woman, since I've never heard of this cutesy phrase being said to young men in regards to their own dress). Yes, most people want to be considered attractive by others, but we shouldn't encourage modesty for the sake of other's opinions. Women are ABSOLUTELY 100% NEVER EVER responsible for a man's "impure thoughts" (and although less common of an accusation, vice versa). We are all responsible for our own thoughts. Enforcing ridiculously strict high school dress codes so that "girls aren't a distraction" implies that these young women are responsible for the inappropriate things that boys choose to dwell on when they see a human shoulder. Stop judging what other people wear. Because guess what? Judgment doesn't help anyone involved come closer to God. We are commanded to love. I have been very guilty of judging others' dress in the past, but thankfully, I'm not the one that God wants on the judgment seat (and neither are you). So stop it. If people want to wear leggings as pants, let them!!!!!! Who cares!! Why are you so offended by someone else's comfort? Jeans don't stay up on me, even with a belt. My body has too many lumps. Leggings are about the only thing that I don't have to adjust every ten minutes, so I'm going to wear them when I can. And I'm not doing it so guys can check me out, believe me. Modesty does not only apply to your clothing - it has to do with your words and your actions too! Take all into consideration. Formal dresses with sleeves really should not cost four times more than those without. Just because someone doesn't dress to your standards DOES NOT MEAN that their testimony is any smaller or that God loves them any less. We all have commandments that we struggle with and thank goodness God loves us still. Modesty is great! 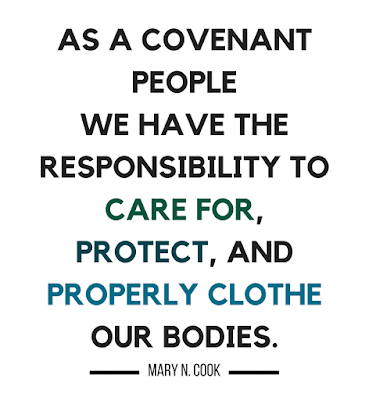 I'm all for clothes that "improve you and would give you confidence standing in the presence of God" (Jefrrey R. Holland). I'm not going to judge anyone who follow's the Dress & Appearance outlined in For the Strength of Youth, but I'm also not going to judge anyone who doesn't. We have been told to respect our bodies. 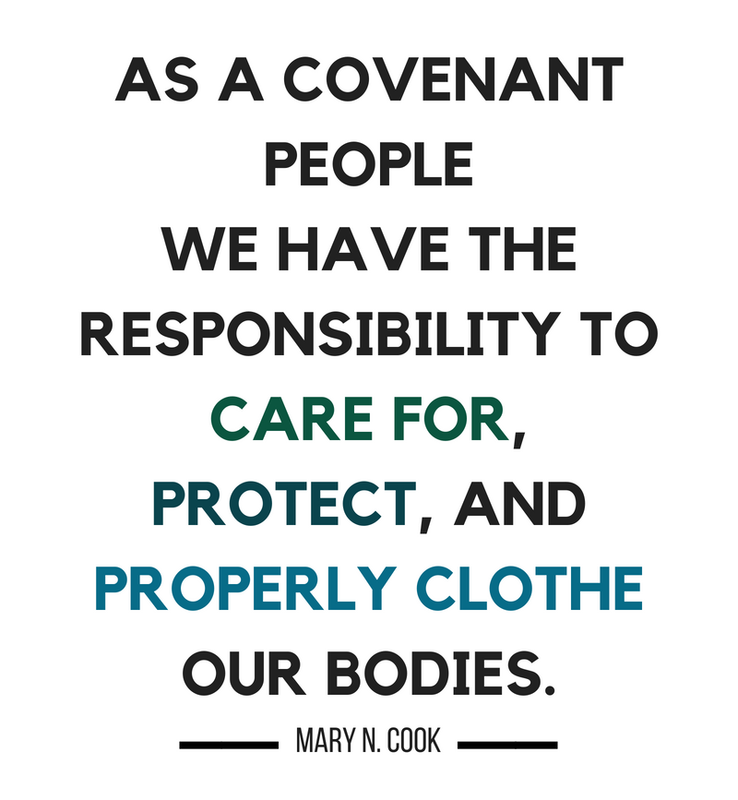 We have been told to take care of ourselves and dress well to show our understanding of just how dang precious our bodies are. This is absolutely NOT a bad thing. I am not trying to discourage you from following the Church's teachings - I'm just saying that you should try your best to do it for the right reasons, and don't worry about others who aren't following your example. Just LOVE. Simply put, that's all that is asked of us.